Back problems can be a real pain in the back, literally! Back problems are increasing among the youth and are not to be taken lightly. One of the major causes of back pain is incorrect sitting posture. Most of us are working desk jobs which require us to sit for at least nine hours a day. This is causing a major increase in back problems. Continuous strain on your muscles and ligaments often result in acute backaches. This is most common when you have lifted heavy objects or due to sudden jerks. Over activity is another contributor to strained muscles. Disk injuries are another common cause of back pain. Usually, the back pain continues for long after the injury has healed. Degenerative spondylolisthesis is a condition where one vertebral body gets displaced onto another. This can also cause acute back pain. Incorrect sitting, walking and running posture over long periods of time can also cause lower back pain. Here are some natural remedies to help you get rid of back pain and reduce inflammation. Stress and exertion are major causes for back pain. According to Ayurveda, stress causes an increase in the Vata dosha. 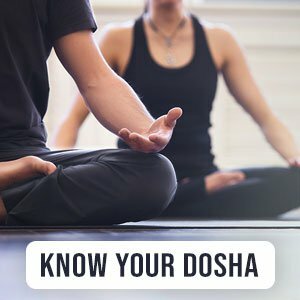 Excess of Vata dosha leads to pain in body parts, especially in the back. Gently massage your back with warm sesame oil for about 10 minutes every day before you shower. This will lessen the degree of pain quickly and is one of the best natural pain relievers. Start practicing anuloma viloma, a pranayama (breathing exercise) which is most beneficial in balancing an aggravated Vata dosha. Lower back pain is generally related to aggravated Vata dosha. This breathing exercise will cure your lower back pain in no time. It is also beneficial for rheumatoid arthritis and osteoarthritis. This also known as the standing forward fold yoga pose. It is one of the best lower back stretches for pain relief. This pose allows the Vata dosha to flow freely throughout the body. It eliminates the obstruction caused from stool-carrying channels which also cause constipation. If you are sleeping on your side, take a pillow in between your knees. Don’t let your top leg fall over your bottom leg as that can strain your back. If you are sleeping on your back, make sure you place a pillow below your knees, keeping them slightly elevated. When you wake up, remember to roll onto your side first and bend both knees while dropping your feet on the ground.